LPN Transition to a Registered Nurse – What Do I Need to Know? Why Should I Take the Time, Money, and Resources to Pursue Becoming a RN When I'm a Working LPN Already? We've covered what it’s like working as an LPN already however, many LPN to RN students pursue advancing their education for more job opportunities, more money, and to take better care of patients. More job opportunities. With hospitals across the country moving away from hiring LPNs due to their limited Scope of Practice compared to a RN, many LPNS are finding themselves becoming more and more limited to the types of facilities in which they are able to work. The most commonly obtained jobs for LPNs are in long term care facilities (LTACs), skilled nursing facilities (SNFs), hospice, and home health. Working in this capacity can be very rewarding and the joy a LPN can bring to the life of a patient is often the reward for all the tedious hard work involved. However, over time, many LPNs grow weary of the monotony, lack of help, and commonly desolate nature of this patient population. A day in the life of a SNF or LTAC LPN usually consists of being assigned 20­-30 terminal patients (mostly do not resuscitate/DNR status) and passing medications from an overloaded medication cart, literally throughout the day. The morning medication pass being the most medications, followed by a noon pass, then an evening pass, and finally a bedtime pass, not to mention finding time for wound care and treatments, blood sugars, patient assessments (quickly! ), and charting, all while being sure the nurses aid is staying on top of obtaining vital signs, helping him or her deliver patients to each meal, help patients to the bathroom, take phone calls, call physicians, as needed, and being sure everyone is safe. Phew! The LPN has a huge responsibility and often, not a lot of help to be sure everything is done correctly and safely. Upon graduating a LPN to RN program, RNs in these facilities often hold a supervisory role. The day usually consists of monitoring the LPN and nurses aids, ensuring the patients are well cared for, hanging IV medications, changing central line dressings or maintaining ports, and ensuring staffing is adequate. Some facilities have RNs maintaining care plans and auditing charts. Like a LPN, RNs are employed in facilities such as the LTAC, SNF, hospice, and home health, however, RNs can also choose to work for many other types of facilities with different types of patient populations. Generally, obtaining the RN removes the limitations LPNs experience with job opportunities. Hospitals are the most commonly sought after facilities for RNs. 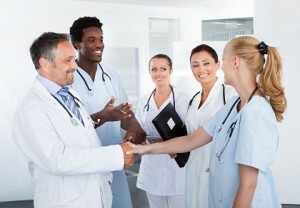 Most have new graduate (new grad) RN training programs available for those who wish to work in the intensive care unit, emergency room, labor and delivery, medical ­surgical, orthopedic, operating room, postpartum, rehabilitation, substance abuse, oncology, bariatric, and for literally just about any department, as RNs are widely utilized throughout hospitals. Other capacities include being self­ employed as a legal nurse consultant or administering Botox injections (after certification), working for outpatient surgical centers, doctors offices, organ procurement organizations, as a clinical instructor or travel nurse, and many more. Opportunities are abundant for the RN­ educated nurse. More money. Because RNs can be employed by so many facilities, competitive pay scales with full benefits are usually provided. For example, this author worked as a LPN for both a SNF and sub­acute rehabilitation center while attending a LPN to RN program, and was earning $22.00/hour. Upon graduating in 2006, she worked at the same facility in the RN Supervisor role for $28/hour and that year accepted a new ­grad RN position in an intensive care unit at a busy trauma hospital and was started at $31/hour with a $2000 sign­ on bonus and 3­6% annual raises, as well as full ICU RN training. This, of course, was in 2006, so wages are probably higher in 2018, plus wages vary by state and other factors. See the comparison of LPN to RN salaries. There is hardly an argument that a more educated nurse with a broader scope of practice and more job responsibility shouldn't earn more money than a less educated nurse with a smaller scope of practice and less legal liability. When an LPN is employed, the facility must have an RN available to supervise, making the LPN position a less cost effective position for the business. Also, the RN has more opportunity for advancement within a specialty through earning certifications and gaining experience. This drives wages even higher. Take better care of patients. 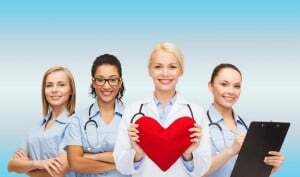 LPNs are often the most caring, compassionate, hardworking and brilliant nurses in the field and any individual that pursues a career in healthcare is seeking to care for and bring healing to patients in the best way they know how. But, the fact is, a RN has received more education than a LPN because the educational programs and scope of practice are designed that way. The RN is trained to be more autonomous. The core of LPN education and the LPN scope of practice is centered around being supervised by a RN. The LPN is well­trained at detecting abnormal assessment findings, performing some nursing interventions, and reporting to the supervising RN so he or she can determine the appropriate course of action. The core of RN education and scope include determining abnormalities, implementing appropriate nursing interventions, utilizing advanced critical thinking and skills to make an independent nursing decision and notifying the physician, as appropriate. The RN is allowed, by their scope, to perform in this capacity because he or she has been more extensively educated on disease processes, anatomy and physiology, pharmacology, pathology, critical thinking, and other topics, versus the LPN, as well as having more clinical hours. Should an LPN Become an RN? Is It Really Important That I Become a RN Even Though I'm a LPN? Changing roles from LPN to RN is a very personal decision. As discussed throughout this site, job opportunities and flexibility broaden with RN education, as well as knowledge, which increases the quality of care provided. 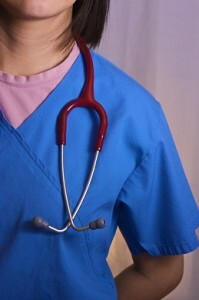 An LPN may not have any desire to advance his or her career, for various reasons. Some enjoy the current LPN position and do not wish to change roles, others are fearful of change, and still others are worried about his or her ability to complete RN school successfully. Those who do pursue LPN to RN education usually do so because he or she believes in helping patients more effectively by learning more about nursing and healthcare and wish to change roles or at least have the option of changing roles in the future. Many want to earn more money for themselves and their families or have a specialty in mind which seems exciting. But, for all prospective LPN to RN students, know that schools offering LPN to RN education are growing and changing everyday and with some research, the right school for the right price is available. I'm Going to Pursue LPN to RN Education, but How Do I Find a Job Once I Graduate as a RN? The best ways to nail down that dream job after completing LPN to RN education is by networking during clinicals, working as a nurse intern or as an LPN within the healthcare system you wish to work, and by resume and reference building. Networking during clinicals. Every nursing student knows what is expected to pass clinicals and dazzle the instructor, but this is the perfect opportunity for a student to demonstrate his or her thirst for learning and dedication to patient care to the staff nurses and management. In the last semester of nursing school, most programs put a RN student one­on­one with a staff nurse, usually in a specialty area. During this time, ask to perform procedures you are qualified to perform, ask lots and lots of questions (remember most staff nurses have no idea what a nursing student is expected to know), demonstrate that you are a safe nurse (the most important kind!) by putting the patient’s bed in the lowest position, making sure 2­3 side rails are up, the call light is in reach, the bedside table is in reach, and know your medications before being asked to administer them. To impress staff nurses even more, try to go the extra mile to help out other nurses, demonstrate good time management, and remember to consider patient hygiene and nutrition. Converse to clinical instructors, most staff nurses care very little about your knowledge of care plans! You might be surprised how easy it can be to make a good impression on a staff nurse and when you do, be sure to get his or her name and email address to use as a referral and ask that they put in a good word with the unit manager. The next step is for the student RN to introduce his or herself to the unit manager and explain how passionate he or she is about nursing, how great the staff nurses are, and how he or she would love to be part of such an amazing team. They are usually very receptive to praise and would enjoy your positive feedback. Ask for the manager’s email address and if he or she knows of any new graduate RN positions which may be coming available. If there aren’t any, be very polite and leave things on a positive note, with a request to email or call him or her in the future to follow ­up. This brief conversation can work wonders to promote the student RNs good name in the small world of healthcare providers. Many hospitals post positions on the company website for Student Nurse Externs for those interested in working in a specific area prior to obtaining their RN licensure. The position usually requires the extern to work as a nurses aide with the perks of being taught RN thought processes by staff nurses and experience interesting things, such as a code blue, intubation, procedures, extremely sick patients, birth, death, etc., depending on the unit. If you are trying to work in an area where LPNs are not employed, this may be an ideal path to determine interest in a nursing specialty. This author has seen Student Nurse Externs work in the intensive care unit, labor and delivery, emergency department, operating room, and on the floors. If the extern performs well, most are offered positions after passing the NCLEX-­RN. This works for the hospital because the team can determine if the extern would be a good fit for the unit and it works for the student nurse extern because they can determine the same and have the freedom to quit without it looking poorly on a resume. The LPN is often more qualified than many of the applicants the hospital is receiving due to his or her healthcare experience. If the LPN wishes to work for the same company after RN graduation, it’s never too early to start talking to a potential future manager and discuss possible positions. When his or her name comes up from human resources after the application is completed, the manager will have a face to associate with the name and already know a bit about the new RNs background. Any way of standing out among other applicants is beneficial. How Do I Build a Great RN Resume and a Solid List of References? There are many resources for resume building available online and in­person at various places, such as nursing schools, career fairs, or even classes around town. Basic rules of thumb are to keep the resume to one page and make the most important areas stand­out, usually by bolding, increasing font size or by crafty word placement. This author uses a separate section to list technology, i.e. computer programs, devices, procedural equipment, IV pumps, medication administration equipment (PIXUS), etc., so that the nurse manager can quickly recognize familiarity with any technology the unit is using, decreasing the learning curve. The ultimate goal is to have a resume be interpreted as desirable within 30 seconds of review. If the manager has a stack of resumes to review, the applicant should have his or hers stand out with just a cursory glance. Building a solid list of references can be a daunting task for any professional new to the field. During the LPN to RN program, ask clinical instructors, staff nurses,, fellow students, professors and any current or recent colleagues or supervisors to act as a reference. Most of these individuals expect to be asked and are usually flattered. Often times official reference letters are not required for RN positions, just the name, professional address, telephone, and email addresses of 3 individuals, as well as how long you have been acquainted. I Have an RN Interview! How Can I Be Sure to Leave a Good Impression? The main goals in an interview as a new grad RN are to present his or herself with the impression of being eager to learn, dependable, having a positive attitude, and being able to work well with others. The interviewer is well aware that the new grad RNs lack of experience and therefore doesn’t expect the same answers as he or she may from an experienced RN. Eagerness, dependability, and positivity can be portrayed as sitting forward in your seat, making lots of eye contact, smiling often, dressing appropriately, and being a few minutes early for the interview. Be sure to phrase each answer with an aire of understanding one’s own limitations as a new grad RN, but with the readiness to learn and grow in the new role. As a former LPN, using situations from that role, as well as from LPN to RN school, are acceptable, but keep in mind the interviewer is not hiring an LPN, they want to know that the new grad RN is ready to shift into the RN position. Much of the same type of interview questions and process is used in LPN interviews as the RN process. Where do you see yourself in 5 years? In 2 years? Why did you choose to become an RN after being an LPN? How would you deal with a patient or family who is rude and hard to deal with? Tell me about a time you felt intense pressure to perform well and how did you handle it? I Got the Job as an RN! How Do I Make a Smooth Transition onto My New Unit? After years of working with new grad RNs, this author can honestly say that the best ways to make a good impression on a new unit are to ask lots and lots of questions, be helpful, follow the rules, and remember the golden rule of being a great nurse. Ask a lot of questions. The staff nurses on the new unit do not expect a new grad RN to know much about the new unit or specialty. The new grad RN should be confident in the processes standard to all RNs regardless of specialty, such as the medication pass and administration processes, basic patient safety, hygiene, nutrition, diabetes management, normal vital signs, transferring from bed to chair, etc. But each specialty is different and staff nurses and preceptors expect to be teaching it to the new RN, in fact, many truly enjoy teaching new RNs. The worst thing a new RN can do is pretend to, or to actually believe, he or she knows more than they do and end up making a terrible mistake, or coming very close.This type of attitude makes experienced RNs very nervous! The staff RN would prefer the new grad RN ask a lot of “stupid” questions than act like he or she is ahead of the game. Remember that a healthy fear of harming a patient is good for every nurse and it will keep patients safe because the nurse will stop to question each process before proceeding. Be helpful. All nurses should offer to help each other, regardless of experience, but when trying to make a good impression on a new unit, being helpful to a busy nurse is a great way to start. Tasks such as picking up a patient’s dirty food tray, checking a blood sugar, answering the phone, offering to help with baths, placing an IV or Foley catheter, changing IV tubing or a central line dressing, or doing anything to help out a busy unit. Staff nurses notice those who are helpful and are much more likely to help out in return. Follow the rules. We can all agree that some rules are, well, stupid. But, as a newly employed RN, the corporation wants those rules followed for one reason or another, so it’s important to show subordinance and follow the rules. Other nurses, as well as management, will notice if the new grad RN is a rule follower or not. For example, if the unit has self ­scheduling and each nurse is expected to work 2 weekends a month, don’t try to skimp on signing up for required weekends thinking it will go unnoticed. This may work, but it’s guaranteed that the scheduler is taking mental notes and the next time the new grad RN requests a day off, he or she may be surprised to find themselves working on that day! Be fair to others and show integrity by following the rules, this will make a lasting positive impression of character. Golden rule for being a great nurse. In this authors humble opinion, new grad RNs need to remember, now and forever, one golden rule for being a great nurse. When asked a specific question by another nurse or physician about a patient, there are only 2 correct answers, “ I don’t know” and the correct answer. Do not get into the nasty habit of “tap­dancing around” trying to give a good­sounding answer afraid of being perceived as stupid or inept. Giving incorrect information will harm patients! If the answer is something the new grad RN should know, and doesn’t, he or she must learn quickly to be better about reading charts and understanding the “whole picture.” It is the bedside nurses priority to know his or her patient better than anyone else on the unit. This means knowing the ins­and­outs of the entire chart, patient history, hospital course, disease processes and medications, discharge planning, skin, heart rhythm, IV placement and patency, etc, as well as critically thinking about any potential adverse outcomes which may occur. If something bad does happen, such as a code blue, you will be expected to answer quickly (usually while you’re standing at the bedside performing CPR and unable to look at your report sheet) what exactly is going on with said patient, what happened just before the event and why, and any of the items listed above.The team responding to the code will want answers, quickly, to determine the best ways to save the patient.